Selling homes in Australia is as much a combination of Art and Science as it is everywhere else in the world and just as in other countries, there are homes which should sell but somehow don’t. While sellers who are well versed in sales often resort to using attractive scents (such as bread and lemons) and other props (such as vases of flowers), some sellers are adopting more unconventional measures. Popular Australian TV shows such as Ghost Whisperer and Medium have raised the debate about the spirit world in Australia. Although there are still plenty of sceptics, some home-owners have started to use mediums to help sell their homes. The most common request are either to create more positive energy or to banish negative spirits and there are anecdotal reports from home-owners that this has worked like a charm. Whether or not these reports are evidence of the presence of ghosts in Australia or just a coincidence is likely to remain a matter of debate for some time to home. What is certain is that Australia has a wide choice of accommodation for those new to the country, whether they choose to buy or rent. 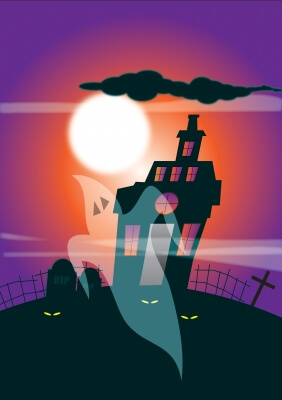 Using a qualified NAATI translator to assist in the process of securing a place to live will help to keep the process less stressful than a ghost hunt.